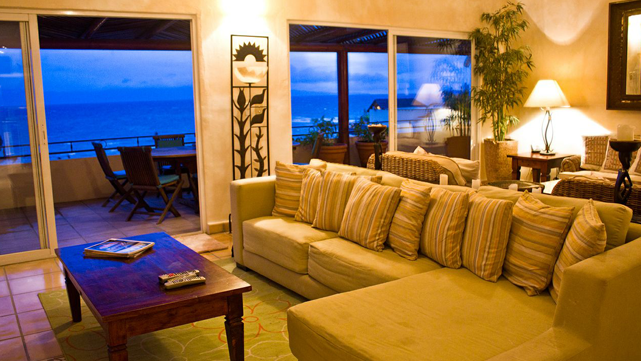 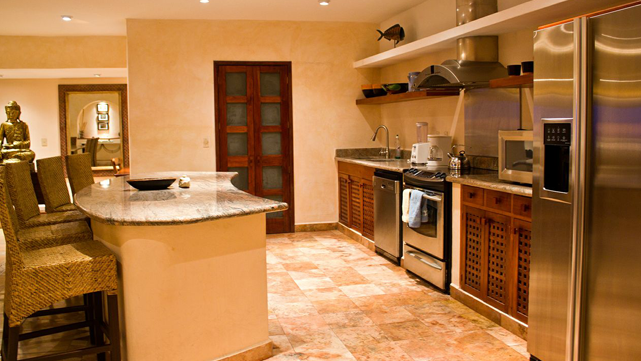 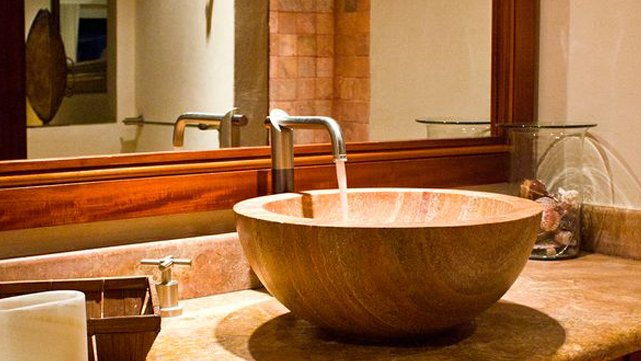 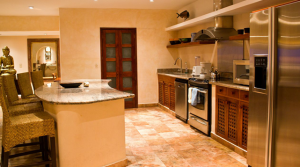 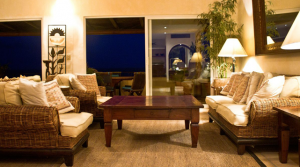 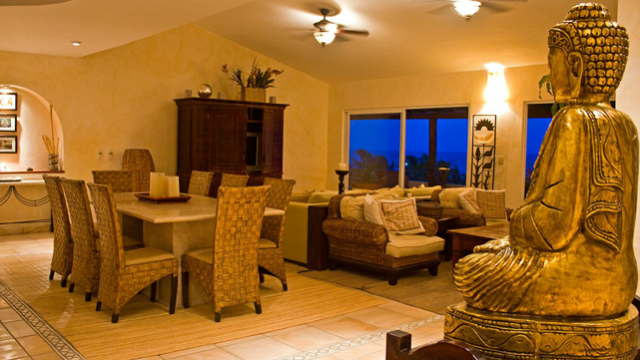 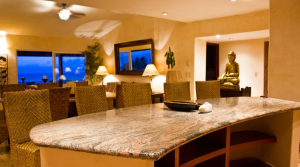 Ventana Del Mar is a spacious four bedroom, four bathroom luxury penthouse condominium a few miles from the Four Season’s Punta de Mita, Mexico, property. 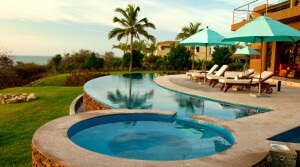 Sitting atop the sea bluff overlooking the Bay of Banderas. 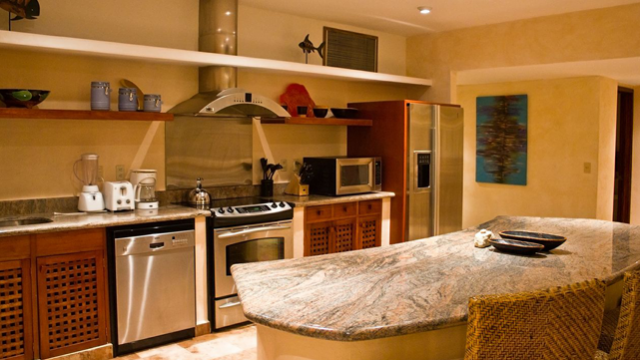 This vacation rental has more than enough space for two families with two master bedroom suites and two rooms with twin beds, all connected with a centrally combined kitchen, living and dining room spread. 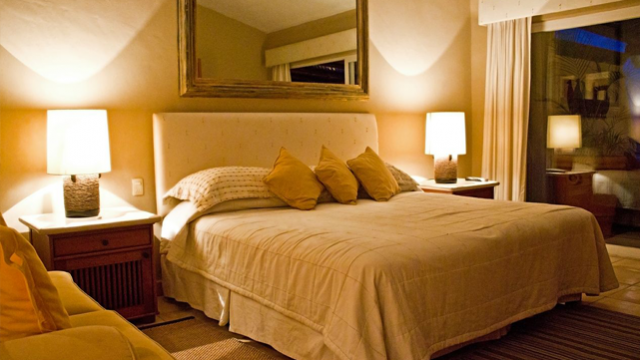 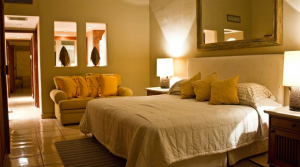 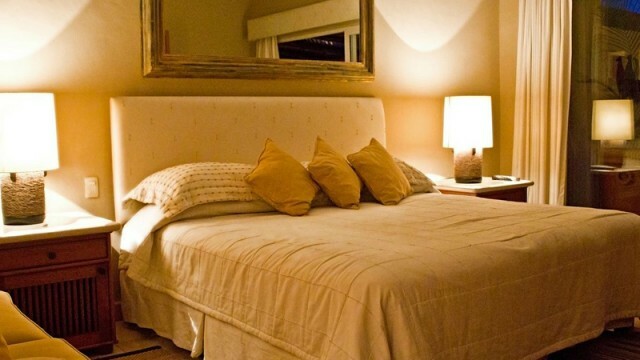 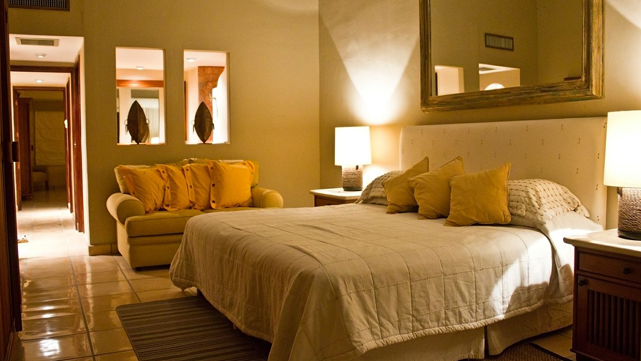 Both master suites have king-size beds and en suites, while one allows guests to check the surf at La Launcha from bed, while the other gives guests a priceless vantage to check the peeling right-hand point break of El Farro. 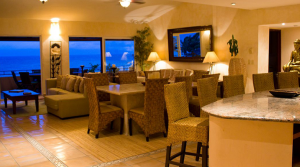 The central gathering point is the 60-foot palapa-covered porch over looking the surf, accessible by every room except the twin rooms, and perfect for dining, sun bathing, or taking a siesta. 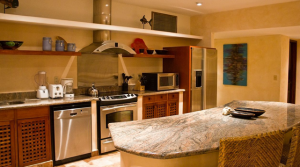 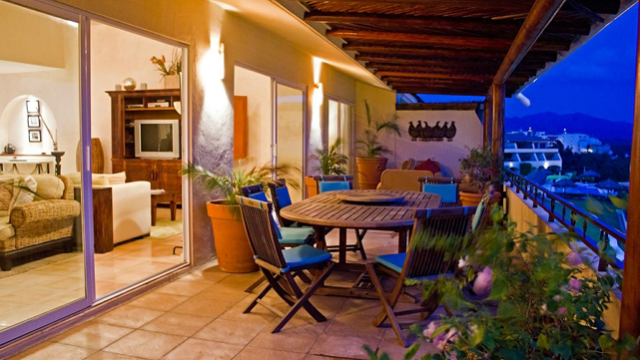 A security gate and guard at the entrance to the property ensure privacy and security, and the penthouse is equipped with high speed DSL internet connectivity, satellite television, and a fully-stocked kitchen to prepare meals or have our chef cook on-site. 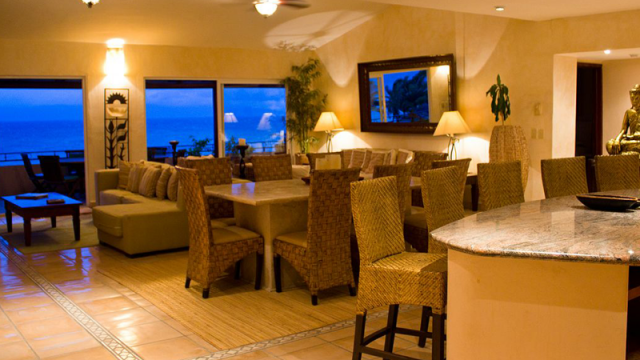 Guests of Ventana Del Mar simply have to cross a footbridge to choose from more than fifteen restaurants directly on the beach and looking over the lights of Puerto Vallarta. 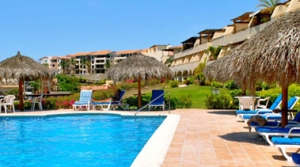 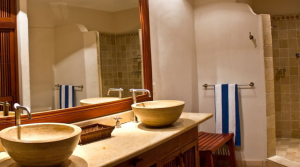 Guests can also enjoy the outdoor pool, spa area, and the well-manicured grounds. Enjoy the beaches, world-class surfing, golf, and more all while relaxing in your private, luxury penthouse.